Desh Bhagat University organised an Inter faculty Punjab Circle Style Kabaddi Tournament. A total of 9 teams from different faculties participated in it. University Chancellor Dr. Zora Singh inaugurated the event and said that a healthy mind stays in a healthy body and sports activities keeps us fit and fine. 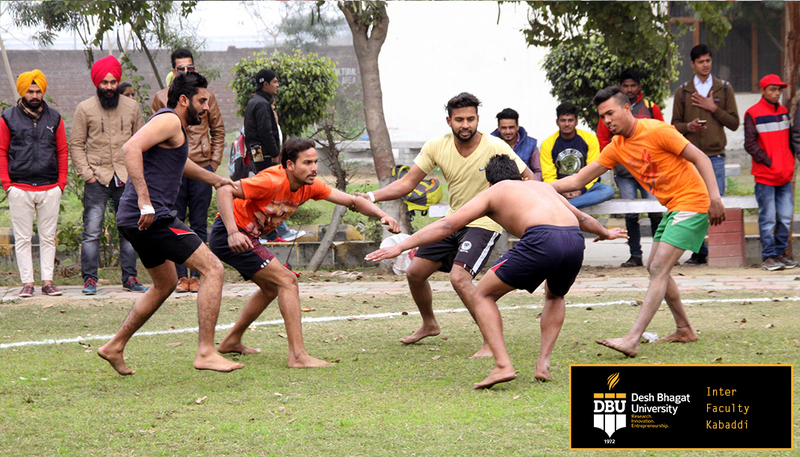 The tournament proved a source of great entertainment for the students and staff members. All the teams played their best and fought hard for a single point to enter in the final fray. After league matches, the Final of the tournament was particularly thrilling. In final the competition was in between Faculty of Education and Faculty of Ayurveda and Research. Players showed their excellent sports skills during the final. Finally, Faculty of Ayurveda and Research beat Faculty of Education by 51-47. Satnam Singh was declared Best Stopper while Kulwant Singh was chosen Best Raider. event. While congratulating the winning teams and best players she said that the important thing in a game is not to win or lose but to play in the true sportsman spirit. She appreciated all players of the teams for the excellent play. Vice-Chancellor Dr. Virinder Singh said that Desh Bhagat University is providing all types of facilities for all the major indoor and outdoor games to its students so that they are able to attain the desired heights in the field of sports. 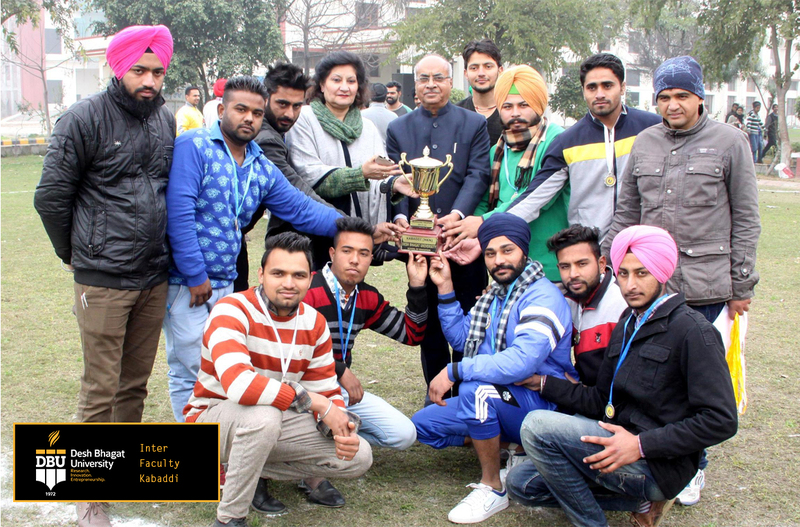 The tournament was held under the supervision of sports coordinator Nandan Singh.